So many good songs to worship God with! Here's the Sunday playlist to start of your week! The words we have heard about ourselves from a young age until today have shaped our identities. They have helped determine what we believe about ourselves. It can be such a challenge to figure out who you truly are at your core, to determine what is most true about you. What do you truly believe about yourself? Who gets to change the way that you view yourself? Whose voice really matters? Life can get so complex. What I love about God’s Word is that it cuts through the noise, the confusion, and the competing voices in our lives. God tells us who we really are and what is most true about us. When we come to God’s Word, whether it is in the story of King Solomon, or in any other story, we get to learn more about who God is calling us to be and what it means to live for him. Main Idea: Serve God, Serve Others. Answer: Sin is rejecting or ignoring God in the world he created, rebelling against him by living without reference to him, not being or doing what he requires in his law, resulting in our death and the disintegration of all creation. Church Family Picnic at Off the Grid at Park Presidio, today after service! Please join us! Men's Outing next Saturday, May 7th. Pacifica Hike and Gorilla BBQ. 9 AM - 2 PM meeting at Roosevelt. Contact Mark for more info! Next Biblical Literacy lecture, Monday, May 9th at 7PM at Dolores Park Church (455 Dolores St). "Biblical Ordering if Justice" on restorative justice with Mako Nagasawa. Next Membership Affirmation, Sunday, May 15th. 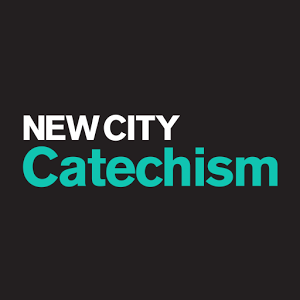 If you are new and interested in committing to the mission and vision of Christ church, or if you have been coming out for a while and have been involved but haven't read the membership booklet or become a member yet, please do so by May 13th if you would like to be a part of the next public affirmation! Church Members' Meeting, Saturday, May 21st. Over meal of fellowship. Details to follow! "Good morning, everyone! I’m Lee & this is my daughter, Julia. We’re happy to be with you all today. This is COMPASSION Sunday. Christians in churches across the country are sharing the story of children living in poverty…children who are waiting for a sponsor. 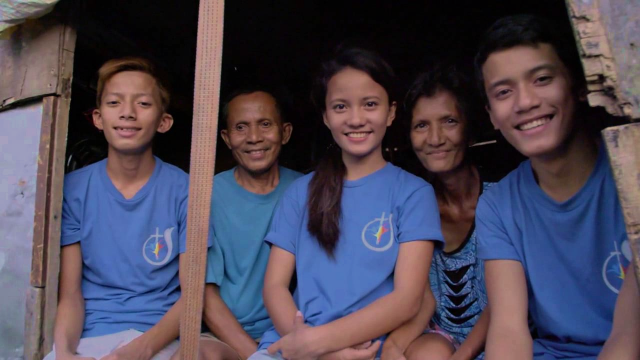 I want to share a quick video with you…a video that shows the life of a child living in poverty, and the life-changing impart of Compassion child sponsorship. A pastor-friend told us about Compassion International, a church-based, Christ-centered charity that lifts children up out of poverty by meeting their spiritual, economic, social and physical needs so they can grow into healthy, Christian adults. We went on Compassion’s web site and we were immediately struck by the need. There are children from all over the world, living in desperate poverty. We found we could pick an individual from the website, so we looked for a girl, with a birthday very near Julia’s bd. And we found Maria, a girl in Guatemala who was born the day before Julia was born. 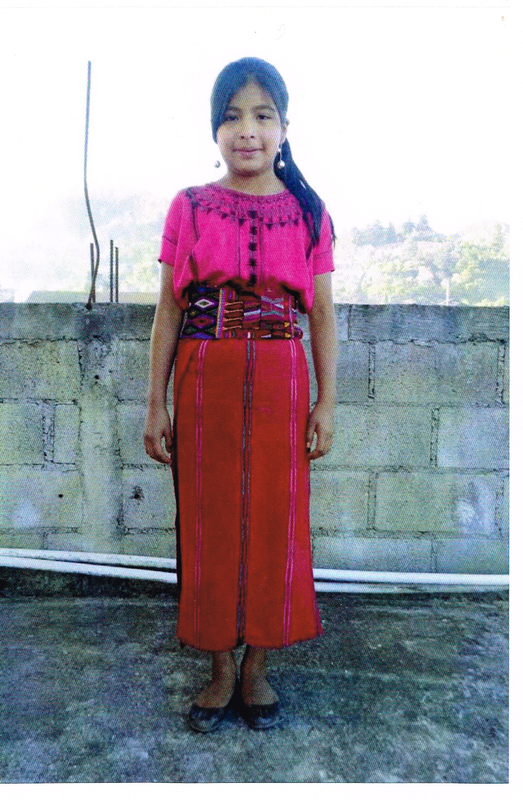 Maria lives with her family in rural Guatemala. All in a caring, environment where she is learning about JESUS. 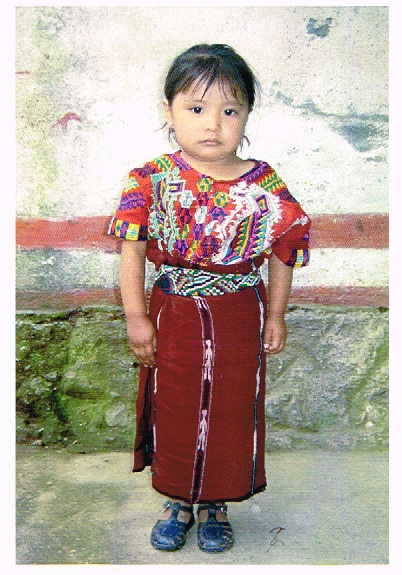 We’ve been sponsoring Maria for 10+ years, and although we’ve never met her, we feel like we know her. As you see, she’s growing into a beautiful young woman, and we feel very, richly blessed knowing that we have a connection with another human being very far away. AND we know that she and her family are learning about God. COMPASSION makes communicating with our sponsored child very easy. 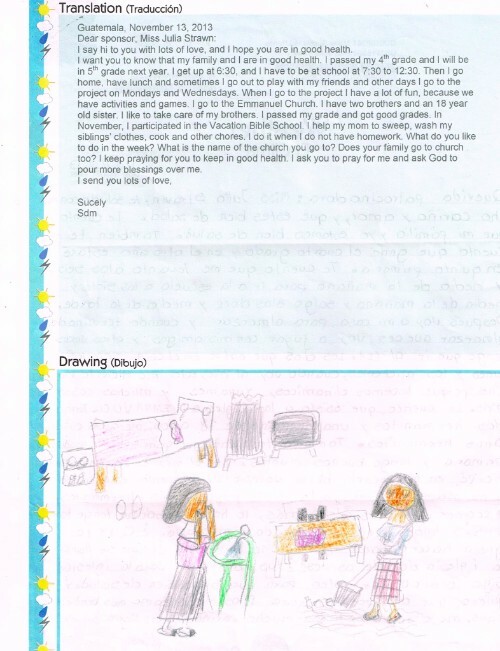 We get letters and drawings from Maria with translations. And we can write to Maria, or send her e-mails. We pray for Maria every night, and I know that Sponsorship has made our family stronger. 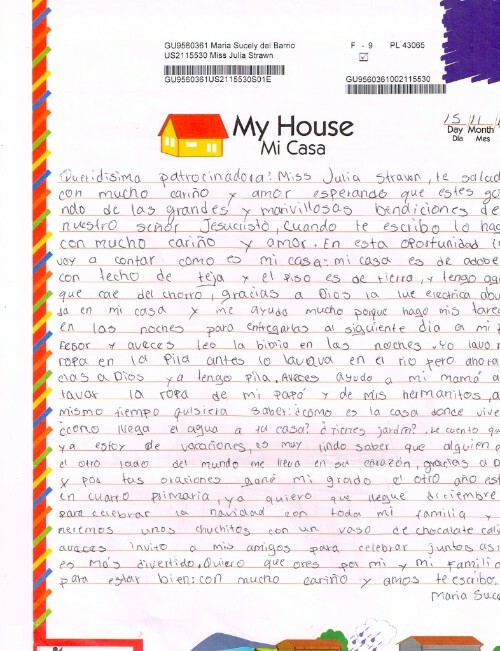 And, as you saw in the video, our small $ contribution, our letters, and our prayers make a HUGE difference in Maria’s life. We have so much to share – not only our $, but our love, our prayers and our letters – and the impact of sponsorship is very real in our lives, and in the lives of the children in need. If God is calling you to sponsor a child, or if you would just like more information, we would love to talk with you after the service. We’ll be at a table out in the lobby. There are children that need you, and you could begin sponsorship today. I hope you will consider sponsorship. Thank you, and God bless! Please join us in A Year of Biblical Literacy. This year, we are reading through the Bible together as a congregation. We have a Scripture reading schedule (never to late to hop on! ), videos, and other resources to help us along.